Want to write for Wildlife Australia? Well, you’re in good company. Many leading scientists and award-winning authors have contributed over the magazine’s five decades of quality natural history publishing. Most articles are written by experts or professionals and are provided pro bono, as the publisher is not-for-profit, but all nature lovers are invited to pitch an article by submitting a brief proposal to the editor. If you’re an academic or researcher, contributing to Wildlife Australia can help promote your work to peers, conservationists, naturalists, citizen scientists and everyday enthusiasts from around the globe. Magazine articles can be both fun and challenging to write, particularly for those who are used to a more conservative academic style. Working with Wildlife Australia allows you to hone your popular writing skills with the help of a friendly, professional editor. Your editor will give you a clear brief and a 4–8 week schedule for final draft copy. The editor will track changes and work closely with you to ensure you’re happy with your article before it goes to print. Feature articles are often written in a first-person narrative style. We like to use sensory storytelling (plenty of description of sights, sounds and smells) to engage readers and give them an idea of what it’s like out there in the field. Ultimately, articles should excite readers about science and wildlife, raise important conservation topics, and reassure subscribers that writers like you –and not-for-profits like us – are focused on protecting the continent’s biodiversity. All authors retain shared copyright, which means you can later submit your article to other publications, whether online or in print, or upload it to your own website or online portfolio. Wildlife Australia retains joint copyright of articles and sometimes shares content with conservation or advertising partners for free, purely for promotional purposes. Wildlife Australia does not receive any payment for content sharing and is committed to protecting the privacy and rights of its contributors. All authors receive a PDF of the finished article and a complimentary print copy of the issue. 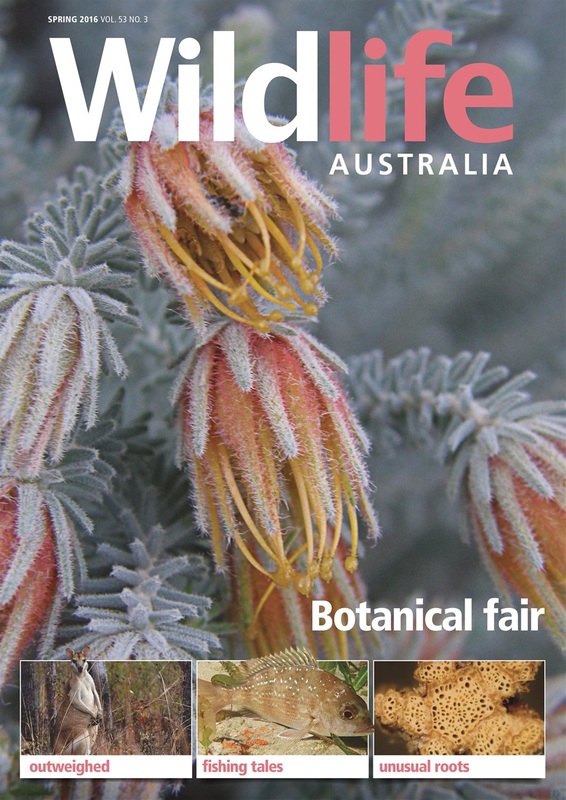 If you’re an experienced article writer, natural historian or Australiana author, feel free to pitch an article to editor@wildlife.org.au or to contact us about the possibility of including a book review or excerpt of your work. We remain grateful to all of our Wildlife Australia contributors for enabling us to keep on making a difference.